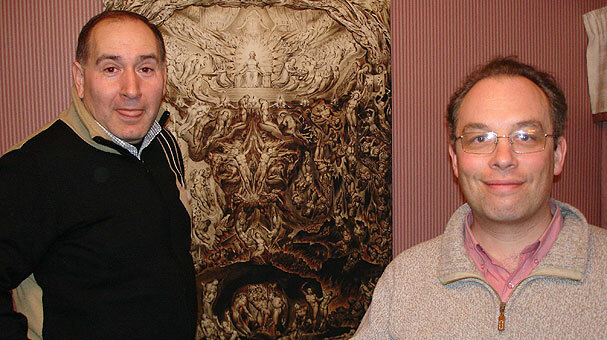 Das Buch "Lieder der Unschuld und der Erfahrung"
visiting Iga the artist who did all the printing and the handpainting in Tscheschin, a small polish town at the border to Czech. 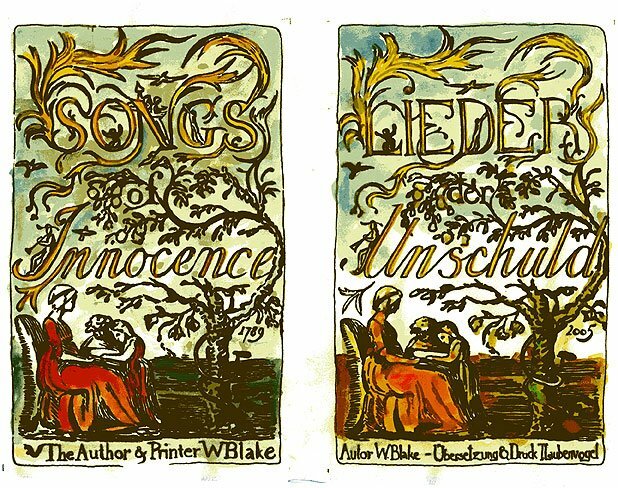 The translation of the songs of innocence and expirience is done and the production of the prints is going on very well. Soon the complete set of prints will be available. 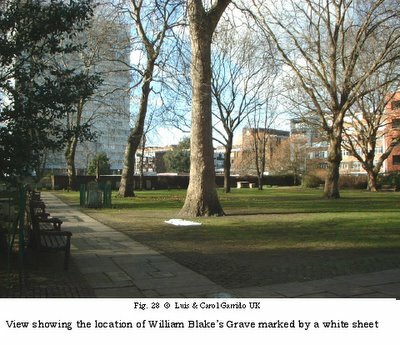 Designing an appropriate impressive monument for the grave of William Blake. At this point incredible barren bureaucratic hurdles have to be overcome. 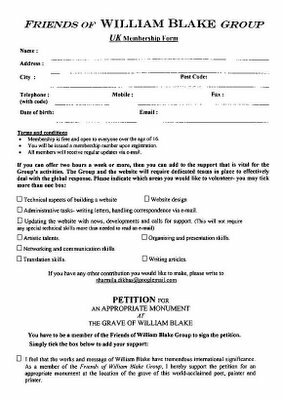 Therefore it would be of great help if you become a member of the friends of William Blake. There are no charges for memberships. The more we are, the easier we can adress to the politicians to get the permit for the monument. 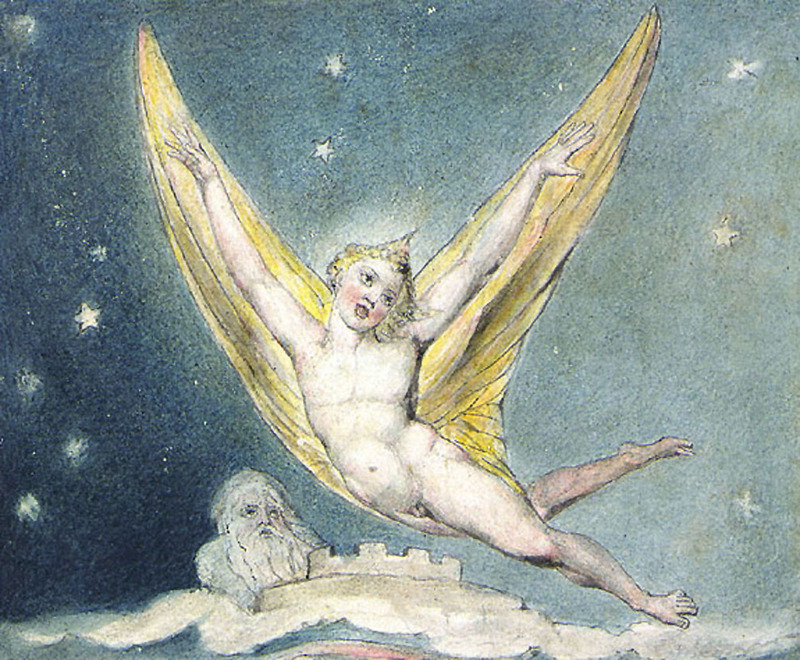 Another goal is to participate in a global project to spread awareness of William Blake and his meaning as a printer, painter and prophet. For the membership file meanwhile just send an email to Sharmila. A fantastic chance to get a glimpse at New Jerusalem! 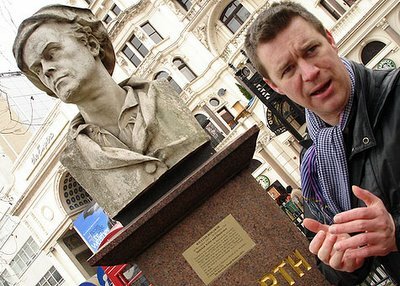 Actor, Artist and friend of William Blake Neill McDevitt takes you to the "William Blake Walk". 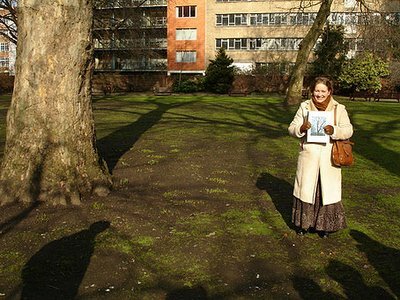 You will hear marvellous recitals of some of the genius Blakes poetry at original locations. 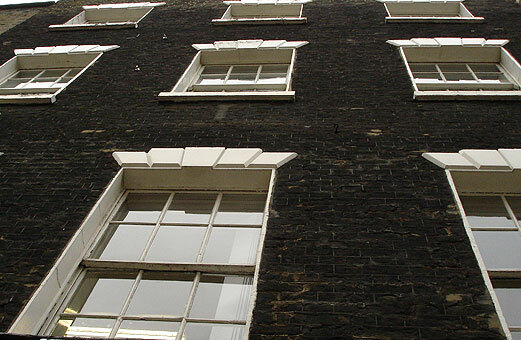 Niall will guide you through the old center of London and you will see the only still existing house, where William Blake lived. 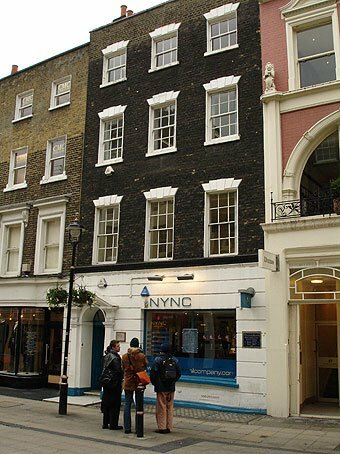 It is in South Molton Street. You havent seen England and you havent seen London as long as you didnt do the Blake Walk and dive into the world of one of the greatest genius who touched the surface of the earth. For the very reasonable price of 10 pound you will be guided through stations of William Blakes life. (Note there is a minimum charge of 40 pound for each tour!) Make sure that you are fit: The tour lasts around 4 hours and Niall is more of a fast walking guide! There is always a chance and you like, you can get lots of extras, as we saw the monumental paintings of Barry in the auditorium of the royal academy of arts. Just make an appointment in time with Niall. Its really woth doing it! 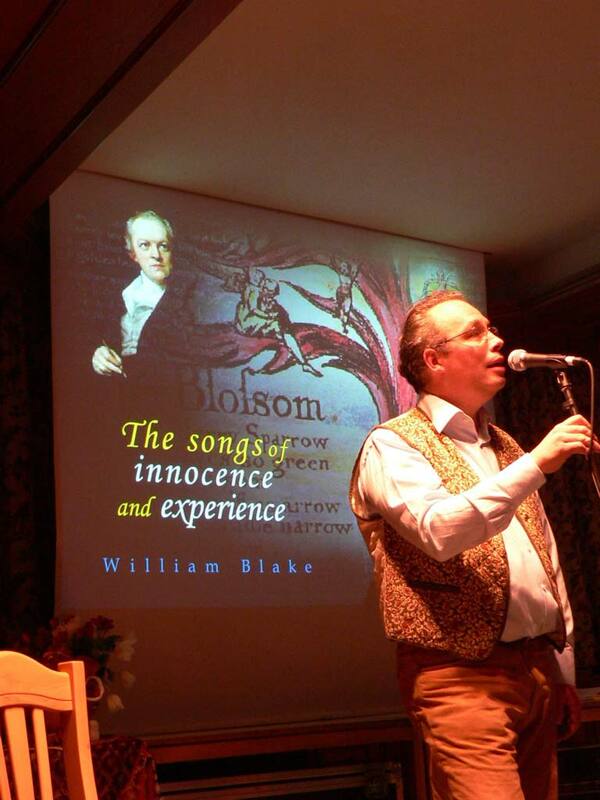 On Fryday the 24 th of February an incredible inspiring international Blake meeting took place. 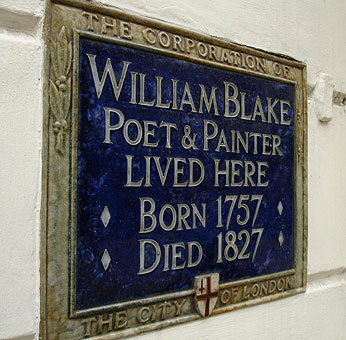 Artists and Blake-scientists were there as well as supporting future members of the "Friends of William Blake Group". 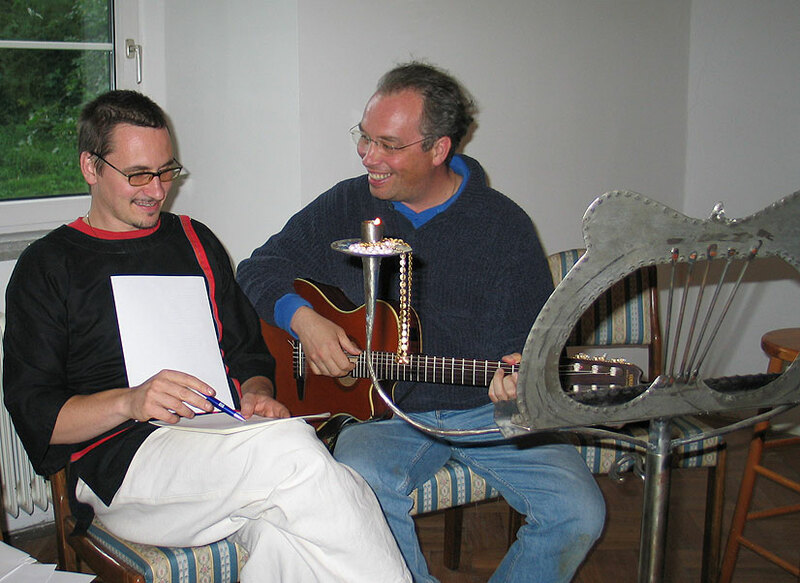 Project ideas for the year 2007 which is the 250 anniversary of William Blakes birthday were discussed. Also the fact that the spot of his grave was rediscovered by Luis and Carol Carrido. 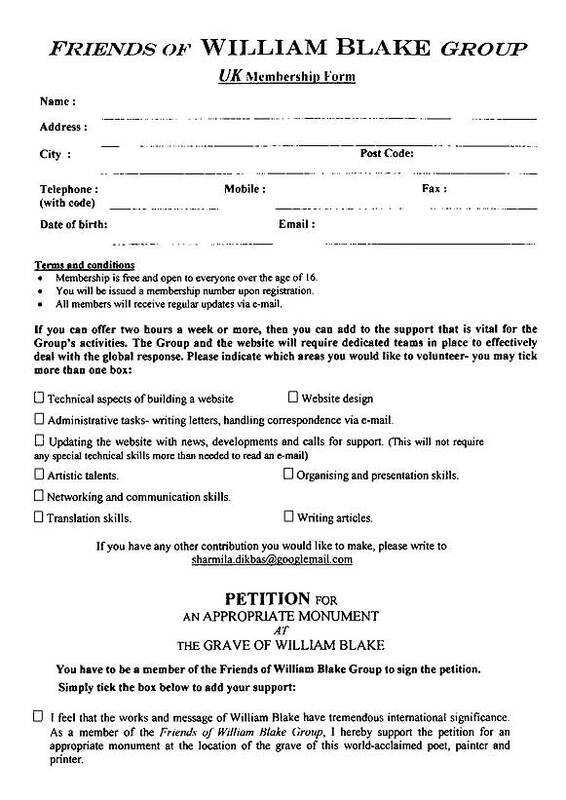 One of the goals of the friends of Blake Group will be to set up a respectful and artistic monument at the original spot of the grave. 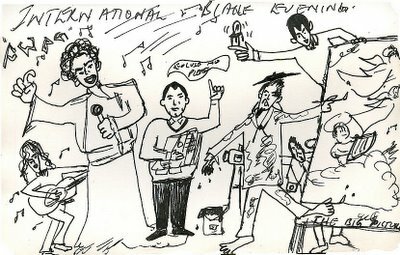 The meeting in the evening was so inspiring that there are only very few fotos, but there is a nice scetch from Sharmila. 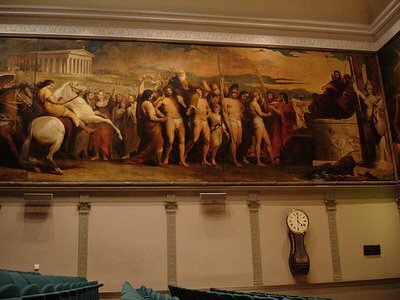 Luis explaining the painting of the last judgement to all of us. The meaning of each and every little figure in it. 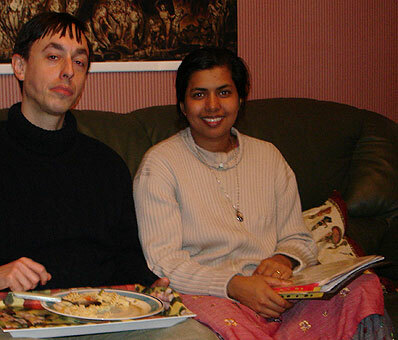 Sharmila and Ziya, the chairman of the friends of William Blake group. 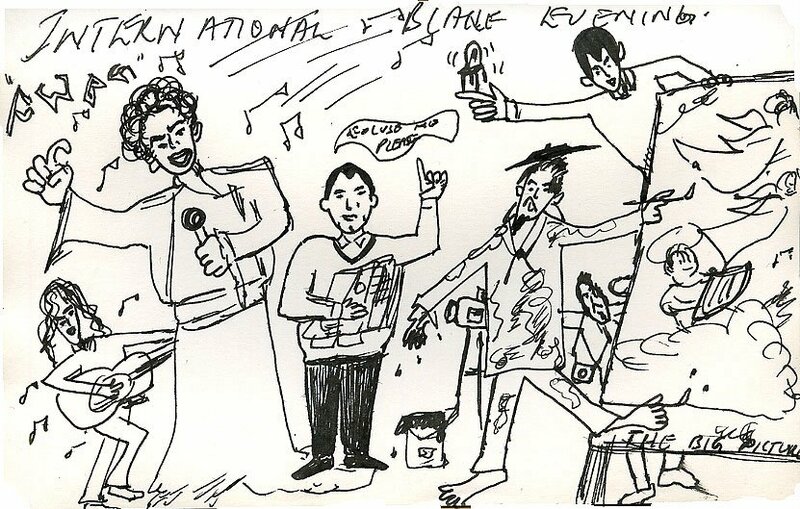 And the last one gives a survey of a so called creative chaos that gave birth to so many new ideas. The meeting ended at three o clock in the morning. 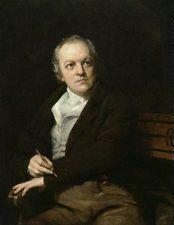 welcome to the opening of the William Blake project. Our homepage www.theblakeproject.org will launch during this year. This blog will be used meanwhile and also later on to communicate and announce whats going on inside the William Blake project. 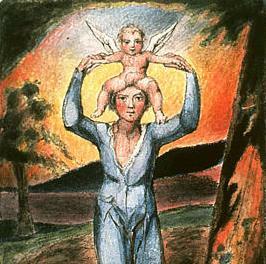 the idea is to put the power of imagination and divine vision into action, to build up on the heritage of that great artist William Blake; and to unite artists of all kind of medias and fields to join and contribute to what he once called New Jerusalem, the unity of art, science and spirituality. 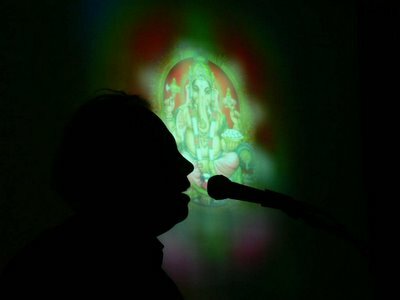 January 8th in lower austria, Victor, voice and composer, Trakeshwara translation and recitation, Carlo Czinzi music. 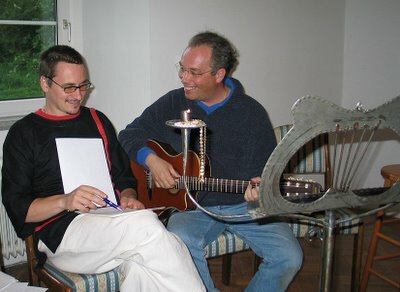 Tarakeshwara is working on a translation of Jerusalem into german. It should be ready at the end of this year. There will be a special event at Blakes birthday in Austria. More coming up in summer. Thanks to Luis Garrido the original location of William Blakes was discovered. 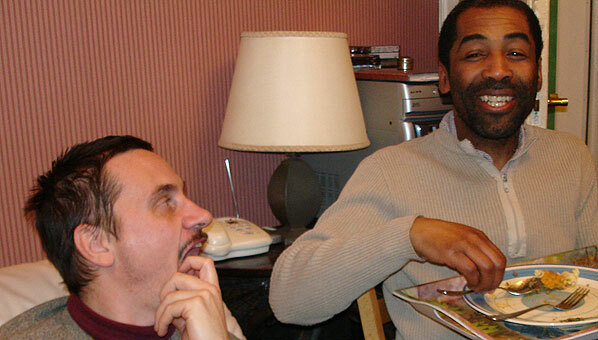 If you want to have more news about it, you can send an email to Luis Garrido. 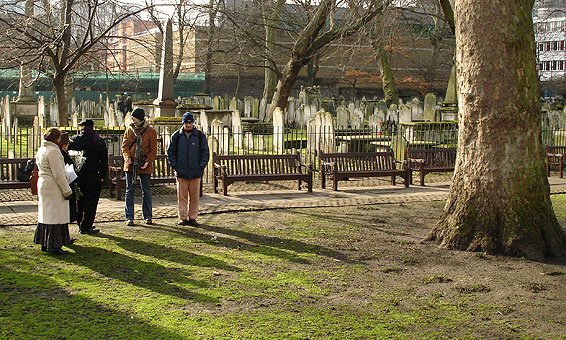 there will be a first international meeting end of february that will bring us further in the detailed structure and philosophy of Blakeproject and the webpage. So spread your wings and meet you there! As soon as we know the exact date, we will but it on the blog. 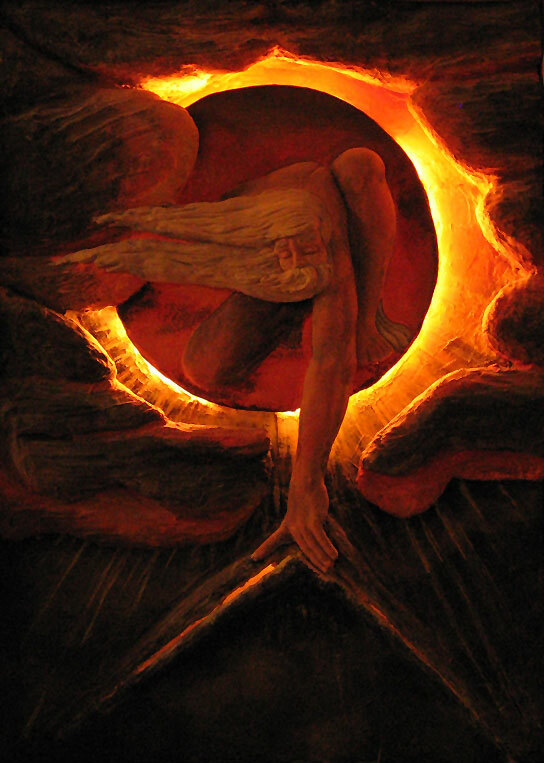 the threedimensional kind of Blake paintings inspired me to work out a relief with lights from the background. "The old of the days" Size is 125 cm height and 80 width. 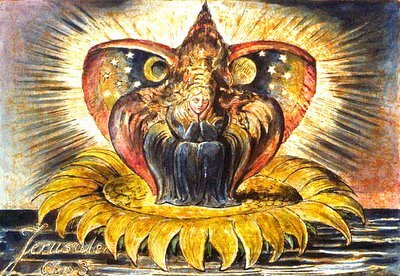 This is Jesus Christ in the Agnya Chakra pushing down the Ego and Superego, and His hair represent the Sahasrara. Ps. : It still is on sale! 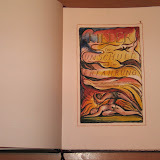 an illuminated german edition (Lieder der Unschuld) translation by Tarakeshwara Laubenvogel and the adopted grafics in a printing- technique very similar to the one William Blake developed. 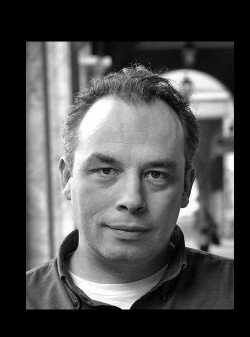 More news about that coming soon. It surely started nearly 250 years back, but the echo of that visionary happening, the birth of William Blake resounded through nature in autumn 2005, when Victor Vertunni di Albanella, his wife Monia Giovannangeli and Tarakeshwara Laubenvogel gave a show at another historical place, where a genius setted standards for eternity, at Schloss Stuppach, the origin of Mozarts last and most mysterious work, the Requiem. 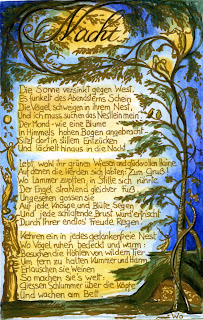 They gave a show of the songs of innocence, wonderfully transported through Victors beautiful and harmonious songs, Giovanangelis pittoresque dance and Tarakeshwaras passionate translations of the poems into German language.